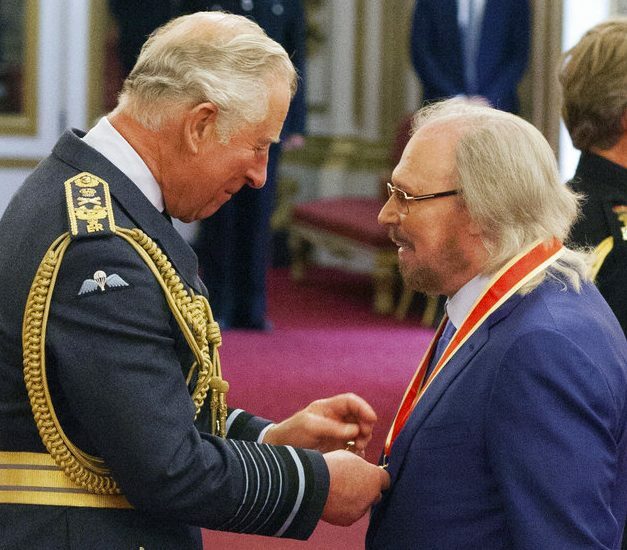 LONDON — Bee Gee Barry Gibb has received a knighthood at Buckingham Palace, and says he hopes his late brothers Robin and Maurice are proud of him. Gibb is the last surviving member of the fraternal trio whose falsetto harmonies and disco beats powered huge 1970s hits including “How Deep is Your Love,” “Stayin’ Alive” and “Tragedy.” Maurice died in 2003 and his twin Robin in 2012. 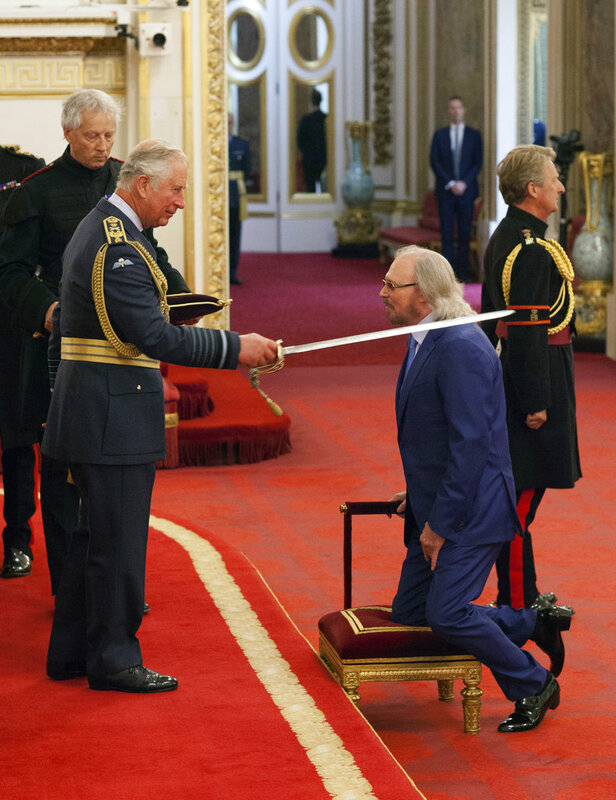 Singer-songwriter Barry Gibb is knighted by Britain’s Prince Charles. 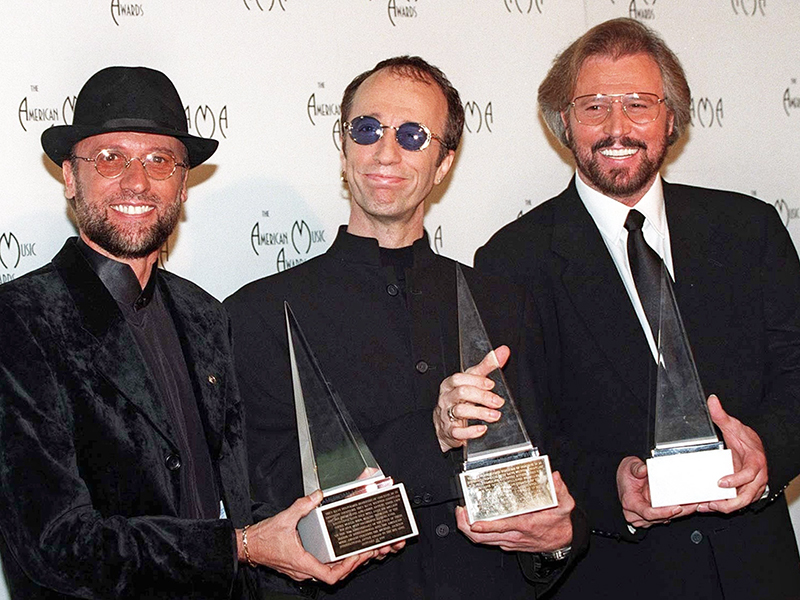 The Bee Gees appear at the American Music Awards in Los Angeles in 1997. The group has sold more than 220 million records worldwide, making it one of the world’s best-selling rock bands of all time, according to Wikipedia. They were inducted into the Rock and Roll Hall of Fame in 1997. From left: Maurice, Robin and Barry.